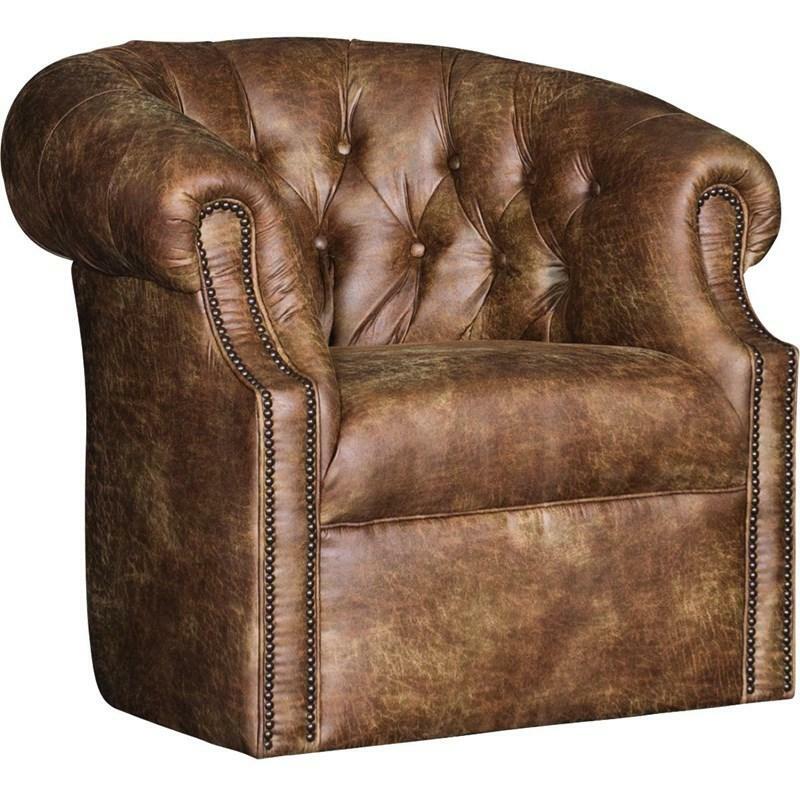 The swivel chair by Mayo Furniture features button tufted back, padded seat, and it is covered by "Palance Pueblo" fabric. 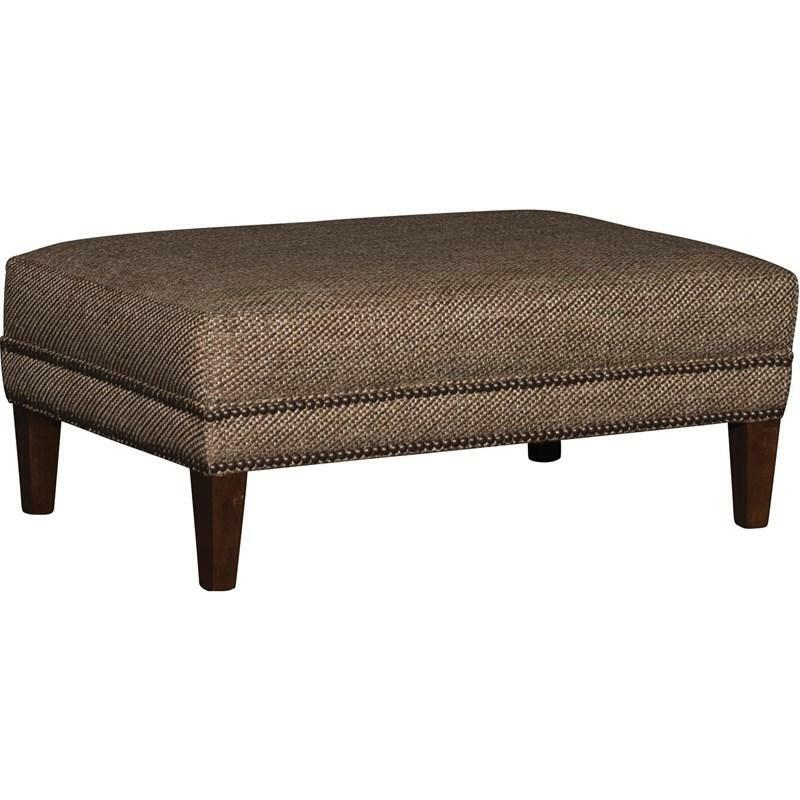 The nailhead trim accents add an elegant look to it. This piece is a perfect choice for any home decor. 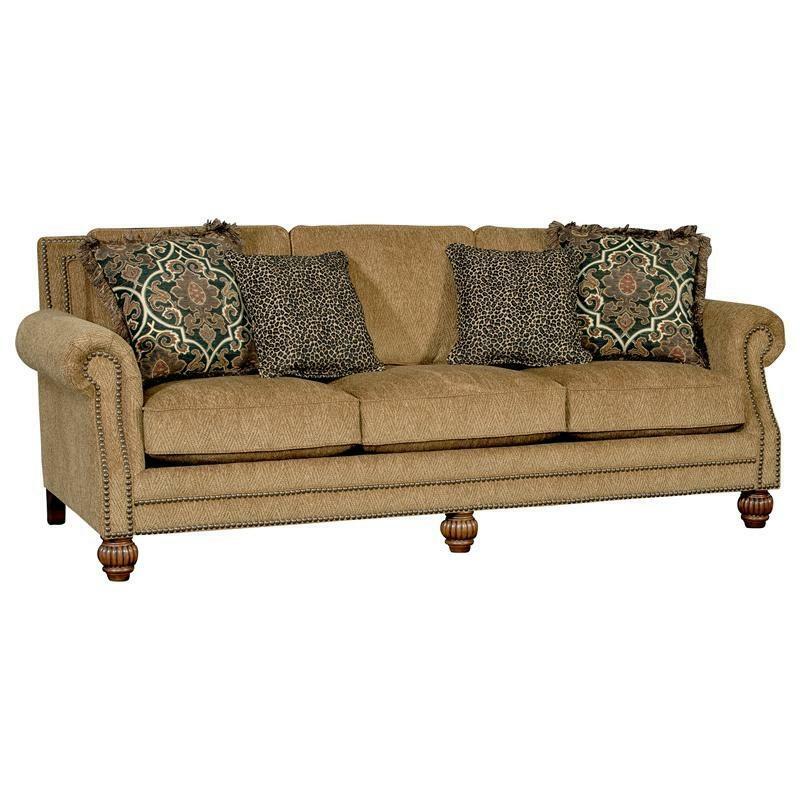 This sofa by Mayo Furniture features elegant rolled arms and a beautiful "Hardy Spice" finish.